Grace has been a collection station for several years now and serves the North Memphis, Shelby Forrest, Lucy and Millington areas. 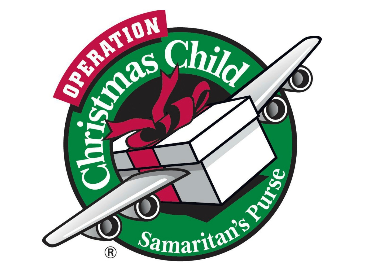 The drop off week is November 12-19, 2018. See times in the picture below. OCC is a year-round ministry at Grace. For November look for bargains on small toys. We also need soap and other hygiene products. Please put your donations in the large blue tub next to the OCC table. The week of drop-off we have an awesome packing party. Members of all ages help pack up boxes for boys and girls in the three age groups. Click the logo to the left to be taken to the OCC website. How about you? It's easy to get involved. All it takes is a average-size cardboard or plastic shoebox. If you want to wrap it, cover the box and lid separately. Decide whether you will pack a box for a girl or a boy, and the age category: 2-4, 5-9, or 10-14. Select a quality “wow” toy such as a doll, soccer ball with pump, or stuffed animal. Then add other fun toys, hygiene items, and school supplies. Do not include used or damaged items; war-related items such as toy guns, knives, or military figures; chocolate or food; out-of-date candy; liquids or lotions; medications or vitamins; breakable items such as snow globes or glass containers; aerosol cans. Most importantly, pray for the child who will receive your gift. You can also include a personal note and photo. Donate $7 online and receive a tracking label to Follow Your Box and discover the destination of your shoebox gift. Finally, drop-off your shoebox at Grace. Shop sales year-round to prepare!